Monitoring of biodiversity is a challenge, but visiting Ducke reserve in the Amazon I am able to see one of the gold standards for long-term biodiversity research. 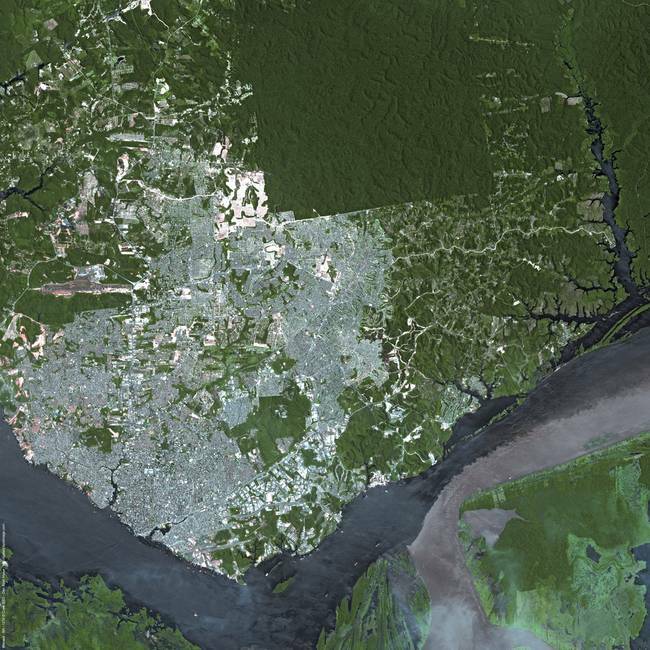 Satellite images reveal an oddly square 10 x 10 km forest block just to the north-east of Manaus. Here lies the Ducke scientific reserve owned by the National Institute of Amazon Research (INPA). My Brazilian colleague Carlos Abrahão undertook his early postgraduate research here and is keen to show me the reserve. Our hike in to the central camp of the reserve is exhausting. Lying on the equator in the humid forest one only has to walk a few minutes before being drenched in sweat. As we navigate the linear track system turning at right angles appropriately, an afternoon thunderstorm threatens in the distance. As we nimbly traverse the last tree fall bridge of a stream we come upon the forest camp, and only minutes later the storm hits. After making camp, stringing our hammocks up, darkness falls and the storm abates. Carlos takes this opportunity to eagerly search for the snakes he undertook his research upon. The best he can find is a tree snake, but for a New Zealander coming from a land without snakes, this is the perfect entry level snake for someone like me to let crawl upon themselves. Still, both I and the snake are happy when it is returned to the tree. The perfectly square grid system the design of the RAPELD system imagined by INPA researcher Bill Magnusson. By dividing the scientific reserve in to consecutively larger squares, questions of importance to biodiversity managers can be appropriately matched to scale, whether it be the taxonomy of biodiversity in a tiny square, to forest dynamics across the entire reserve. Before entering the reserve Bill was generous enough to give me a copy of his book Biodiversity and Integrated Environmental Monitoring. It is a must-read for those interested in long-term biodiversity monitoring, especially as one lies in their hammock in the centre of the very reserve it focuses upon, listening to the cacophony of amphibians.